MSI reveals its new High-End R6970 and N580GTX Lightning Edition Graphic Cards. MSI showcased its new Radeon HD 6970 and Geforce GTX 580 based Lightning Edition Graphic Cards at the press-meet in Taiwan. The new cards are based on MSI’s Lightning Edition cards which feature Ultra High Performance. The cards include R6970 Lightning which is based on the AMD Radeon HD6970 and the N580GTX Lightning based on the Nvidia’s Geforce GTX 580 GPU. The cards look remarkably similar because of the same Twin Frozr III cooler being used on both which comes with 2 80~90mm fans using a fan blade design which is said to reduce noise while providing adequate airflow to the heatsink below. The aluminium heatsink array is where the heat from the GPU is dissipated by the help of 8mm Thick Heatpipes. The cooler only takes 2 Slots but the height of the card is increased by an inch which may make it difficult ti fit in some cases. 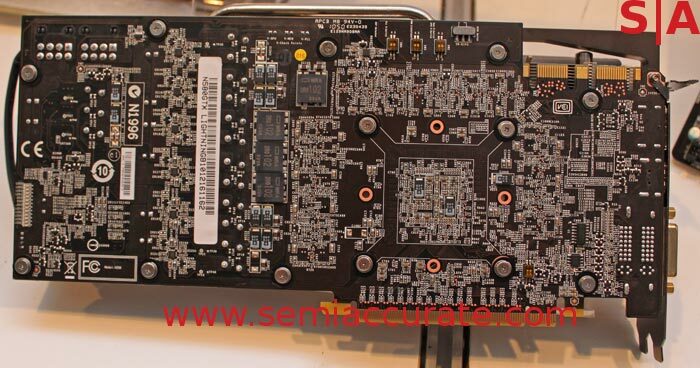 PCB’s used on both the cards have a similar layout, The only difference being that the N580GTX uses a 16-phase VRM and power is drawn by two 8-pin connectors while the R6970 uses a 18-phase VRM. The cards use High grade components which include high-C capacitors and proadlizers to condition power and solid state chokes. The display connectors of the R6970 include two DVI, one HDMI, and two mini-DisplayPort while the N580GTX comes with two DVI, and one each of HDMI and DisplayPort. Both cards will come out with insane factory overclocks and software voltage control and the extra juice means that much room for overclocking will be available.